Raheem Sterling failed to appear in the European U21 Championship because of a thigh injury. Raheem Sterling insists that he needs to mix up his game in a bid to become a Liverpool and England legend. Despite regular starts at Anfield last season and an England senior call-up, Sterling believes it is simply not a case of carrying on what he’s doing. He thinks he needs to change his game in order to improve. “I’ve got to mix my game up as well which means not always dribbling and taking a few less touches. Everyone can see I like running with the ball so that could make it easy for defenders to read me. That’s why I need to mix it up. “The game in the Premier League is obviously fast-paced so I’ll be looking to use my pace but also out-think defenders,” he told TheFA.com. 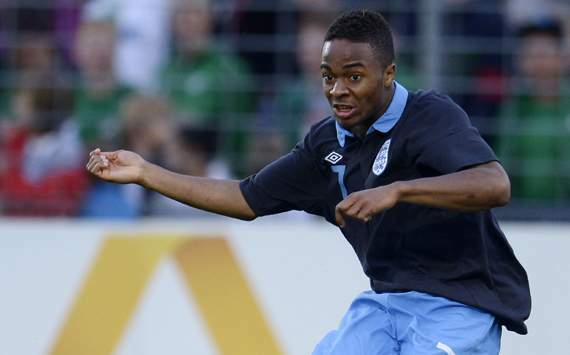 Sterling unfortunately missed out on the European Under 21 Championship this summer due to a thigh injury. Stuart Pearce managed to grasp him away from Roy Hodgson’s senior summer plans as an option in Israel after an impressive Premier League season. Sterling also thanked Brendan Rodgers for the opportunities he’d been given last year. “Last season was a good start. The manager gave me the chance to go out on the pitch and show what I can do but then my injury started kicking in and my performances weren’t the best. It was obviously taking a toll on me so the manager took me out to protect me,” he said. Watch some of the best bits of Raheem Sterling in this video below.